Come on in and sit a spell . . .
For a complete review of hotel rates and comparisons, please see the "Files" section of our Facebook group, Biscuits 'N' Cavy--2017 ACBA Specialty Show, Waynesville, NC "www.facebook.com/groups/1516724398620164/files/ "
The Waynesville Inn Golf Resort & Spa, 176 Country Club Dr. Waynesville, NC 28786. 800-627-6250 828-456-3551 6.6 miles to Show Site. Twenty rooms in our block. Price $99 for 1-4 guests; all rooms are non-smoking. Some on second floor. There is no charge for cavies in the room. Dogs - $25/night. Outstanding BREAKFAST is automatically included for 2 adults/room and 2 children under 12. Breakfast gratuity is added to the bill. Additional breakfasts available for $13 per additional person. Service is 6:00 AM - 10:00 AM Sat. & Sun. due to our group's needs. Other days it opens at 7:00 AM. Has on site restaurant & bar. 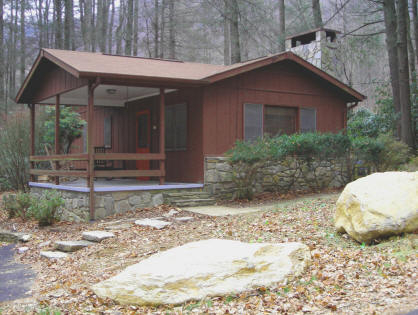 Cabins at Twinbrook, 230 Twinbrook Ln., Maggie Valley, NC 28751. 828-926-1388 Close to tourist attractions. 8.5 miles to Show Site; All of the cabins are in our block until 12/31/16. Price and accommodations dependent on cabin bedroom/bath number & represents up to 40% off. From $99 for 1 bed & bath for 2 guests to $299 for 7 beds in 4 bedrooms and 2 baths for 14 guests Eight price points in between. No pet fees. 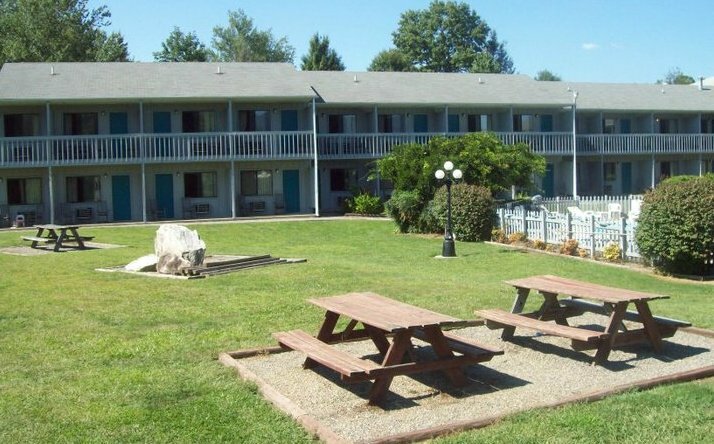 Full kitchen and laundry facilities in cabins. Many have whirlpools or jacuzzi.. Cabins in treed area & situated by stream on property just off main road. Indoor swimming pool, hot tub and playground. Club house in pool area for group gathering. Free wifi in each cabin. "Hotel Amenities: Complimentary Coffee and Doughnuts in the lobby.All Rooms have Queen Size Beds No-Smoking Rooms All Rooms PoolsideIn- Room Coffee Makers and Refrigerators Free Cable and HBO"
The Lodge of Waynesville, 909 Russ Ave., Waynesville, NC. Block is not officially implemented until Jan. 2017. Price $49.99 for 1-4 guests; a one time $10 pet fee for any animals. Continental Breakfast from 6 AM - 9 AM in a nook of the small lobby. Rooms have 2 queen beds and refrigerator & coffeemaker. Free wifi. Some smoking rooms and some rooms on second floor.